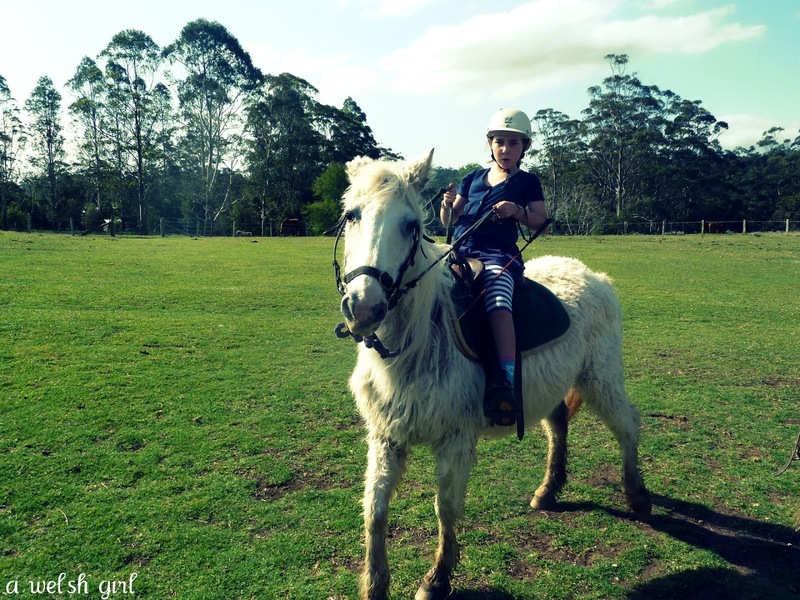 A Welsh girl in Australia: A horse ride in the mountains. A horse ride in the mountains. I delight in the fact that we can slow down a little and get away from the usual routines. Quite a few months ago I wrote about our "We should" box (here). In this box we place little notes to remind ourselves of things that we would like to do. One note said that we should go horse riding. I'm ashamed to say that the note was put in there in January! Anyhow, better late than never so yesterday my girl and I went for a horse ride up in the mountains. 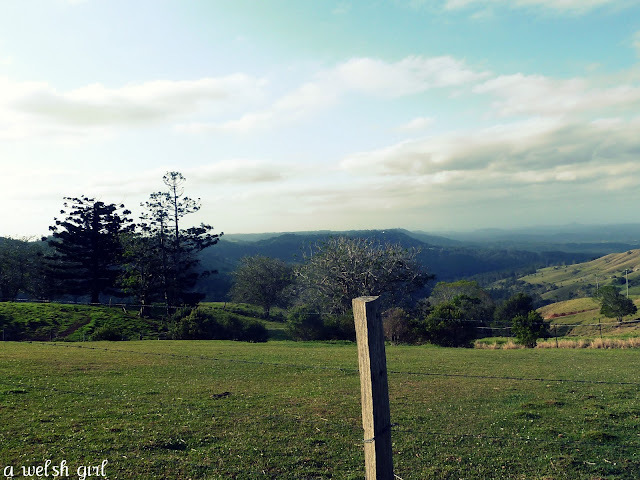 We left the city and travelled up towards the Sunshine Coast, turning off the highway to Maleny. It was a lovely route up through the Glass House Mountains. After a spot of lunch in the town we wound up the mountains a little further to Witta. We had previously stayed with Farmer Ross and his wife Robyn at Wattle Gully and had enjoyed a very relaxing weekend in one of their quaint little cottages. Sibs had been riding there before and was very excited to meet up with the horses again. 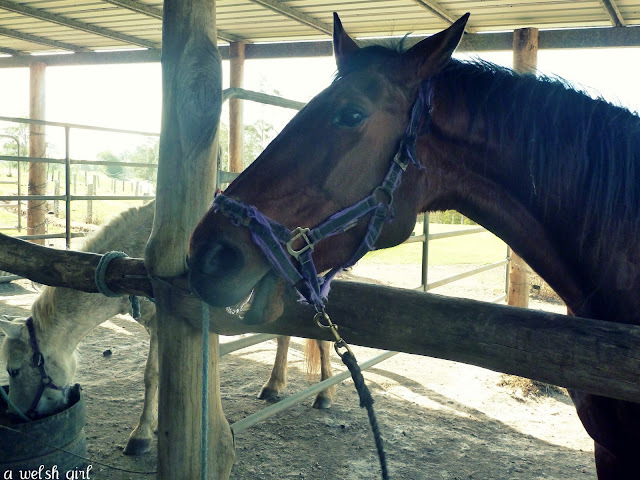 We got re-acquainted with the horses and Sibs remembered each one by name (aren't children amazing with their recollections sometimes? ) Farmer Ross gave me a few tips on how to handle the slightly dreamy Star, who sometimes has a little relapse in concentration! Then after a gentle walk around the paddock we got into the saddle and off we went down the road and into the mountains. It was so peaceful and relaxing - the only sound was the twittering of the birds and the occasional whoop from Sibs when her horse decided to speed up a little (or maybe that was me!). How can you not switch off with views like this? We spotted a couple of wallabies playing, but they moved away too quickly for me to take any photos. After crossing the river we headed back up the hill and the horses definitely knew that they were on the way home! They sped up and it felt like a race to the end....I was holding on for dear life and I could hear Sibs giggling away behind me! The last job was to help Farmer Ross with grooming and feeding and then to lead the horses back. Although we do not ride, nor have we ever, we can so easily imagine what an idyllic, leisurely and totally relaxing time you both must have had yesterday. And such wonderful scenery but not, we think, so very different from some parts of Wales although there you would be most unlikely to see wallabies!! The horses look magnificent and are clearly very well looked after. 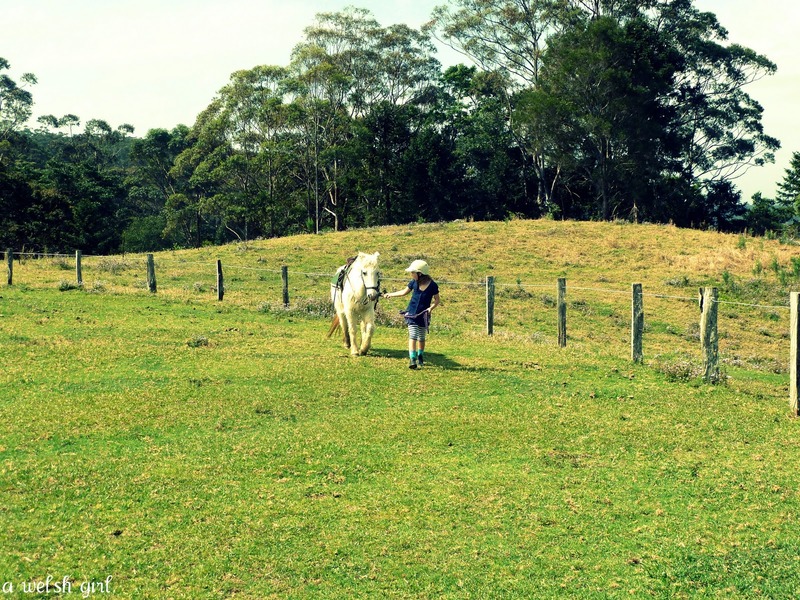 great post Beth, last time I went riding with a friend we got chased by a donkey, amazingly the horses were frightened of him and we went galloping off....exhilerating but scary...also far more physically tiring than I had ever imagined! Great thing to do with Sibs though. Beth, what a lovely day and your photos are gorgeous. We start holidays today, yippee. I hope to spend some special time with my girl too. 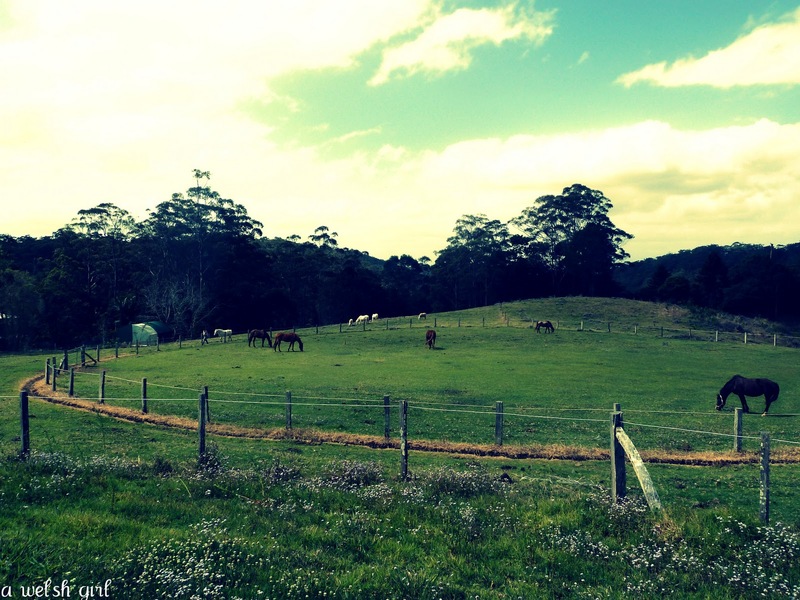 Fantastic views..a beautiful spot to ride in and leave the cares of the city behind. Have a great weekend!